The MRCC Union Hall and Apprentice Training Center is Complete! 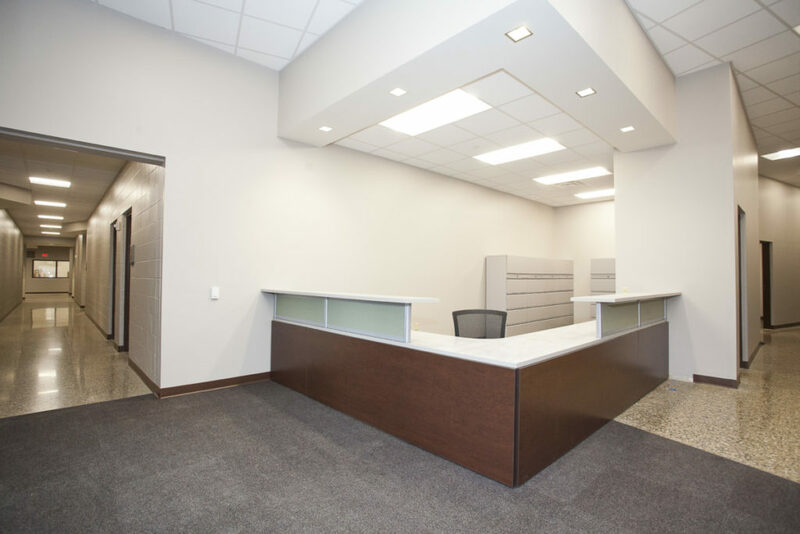 - Byce & Associates, Inc. 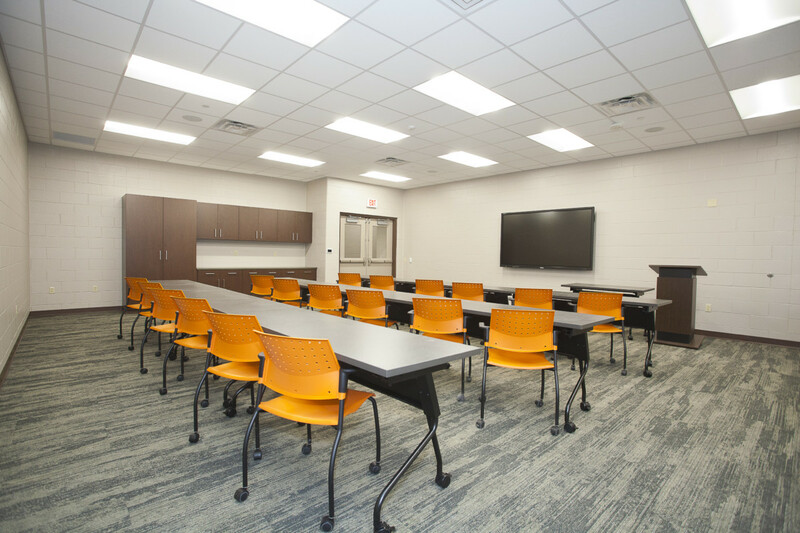 The MRCC Union Hall and Apprentice Training Center is Complete! 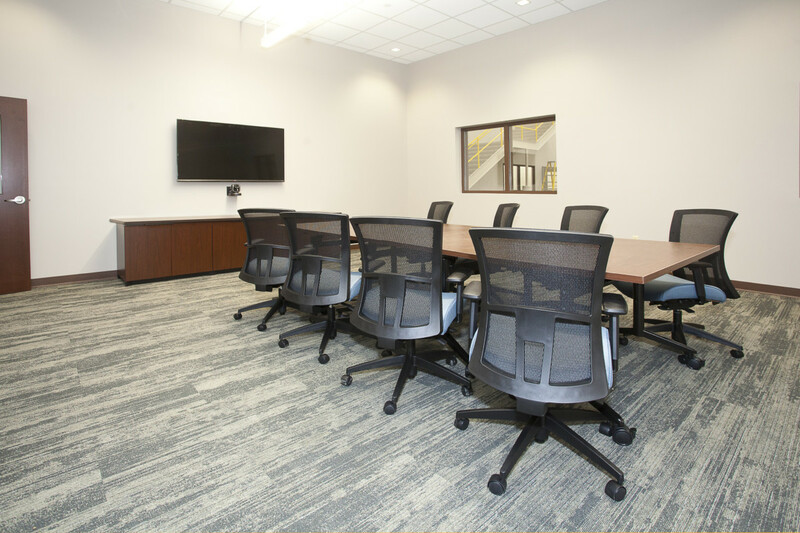 We are excited to announce that the MRCC Union Hall and Apprentice Training Center is now complete and Interior Final Photography is here! 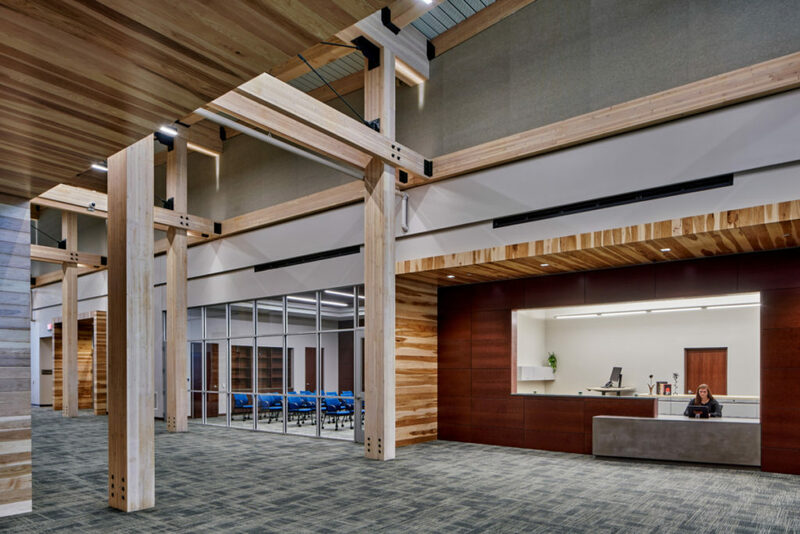 Byce & Associates, Inc. provided Architectural, Interior Design, and Civil, Structural, Mechanical, and Electrical Engineering Services for the United Brotherhood of Carpenters Michigan Regional Council of Carpenters (MRCC) Union Hall and Apprentice Training Center in Wayland, Michigan. 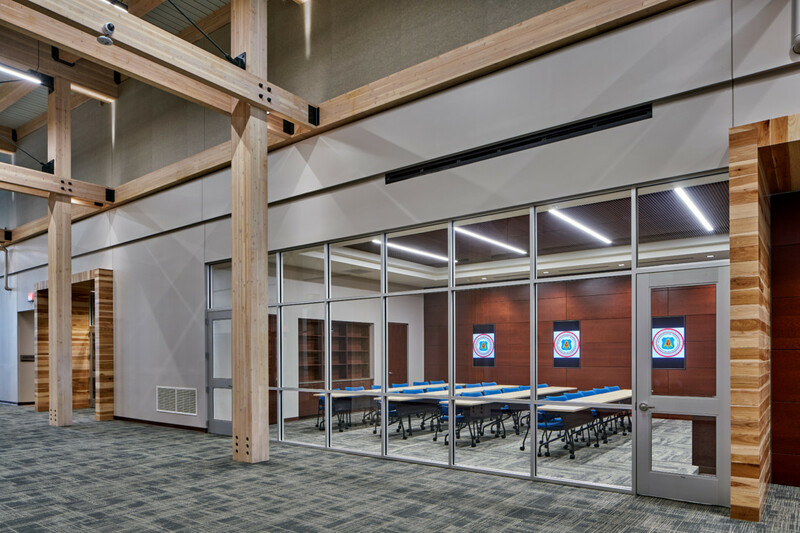 The project team also included Schweitzer Construction, as the Construction Manager. 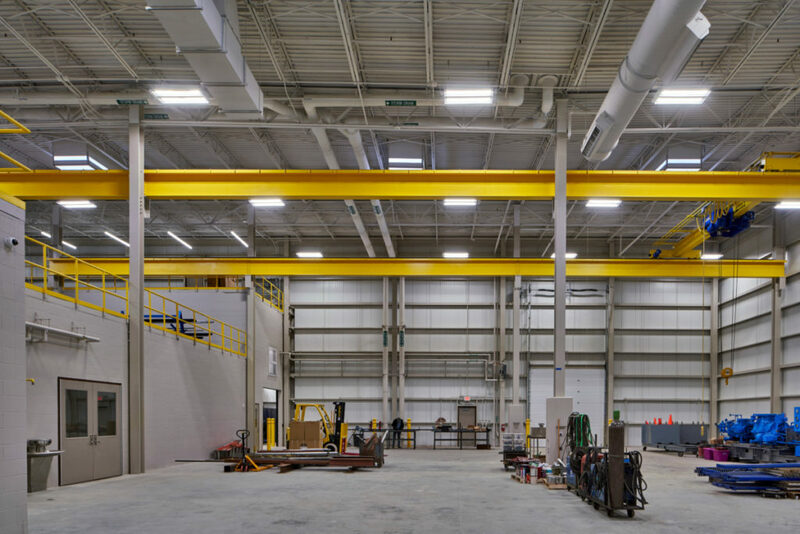 The Union Hall Wing is an approximately 80′ x 130′ x 15′ conventionally steel framed building clad with architectural composite metal panels. Exterior wall infill and interior walls are light gage metal framing, and the interior incorporates standard corporate office level finishes. 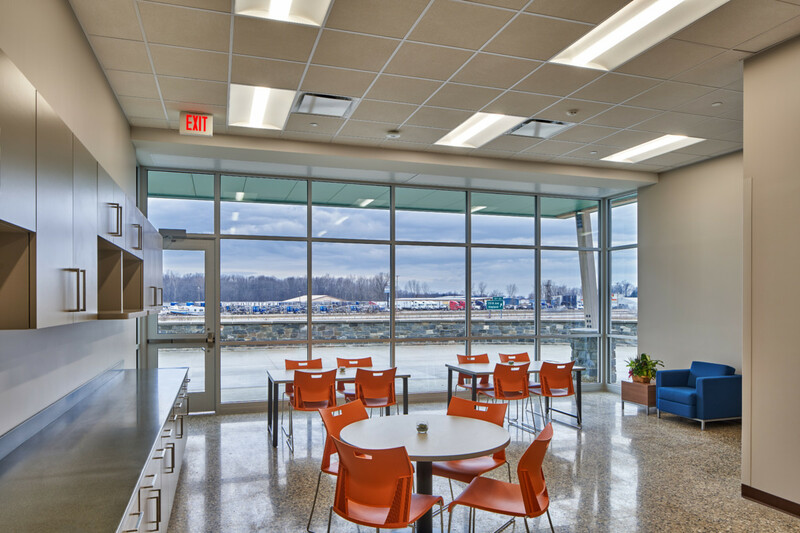 The Training Center Wing is a 148′ x 270′ x 40′ conventionally steel framed building with insulated metal panel façade and membrane roof over insulation and steel deck. 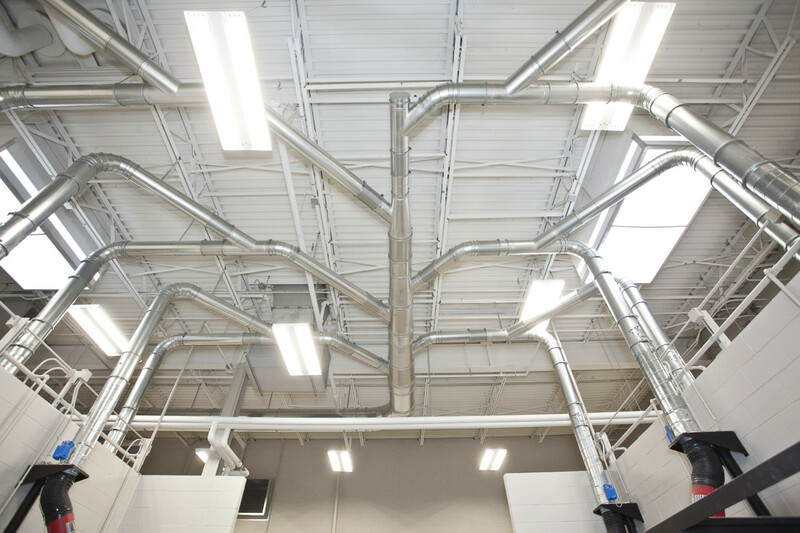 It also features a 4,200 square foot welding lab, 30′ wide bridge crane (12 ton), and a 12,000 square foot mezzanine with classrooms beneath. 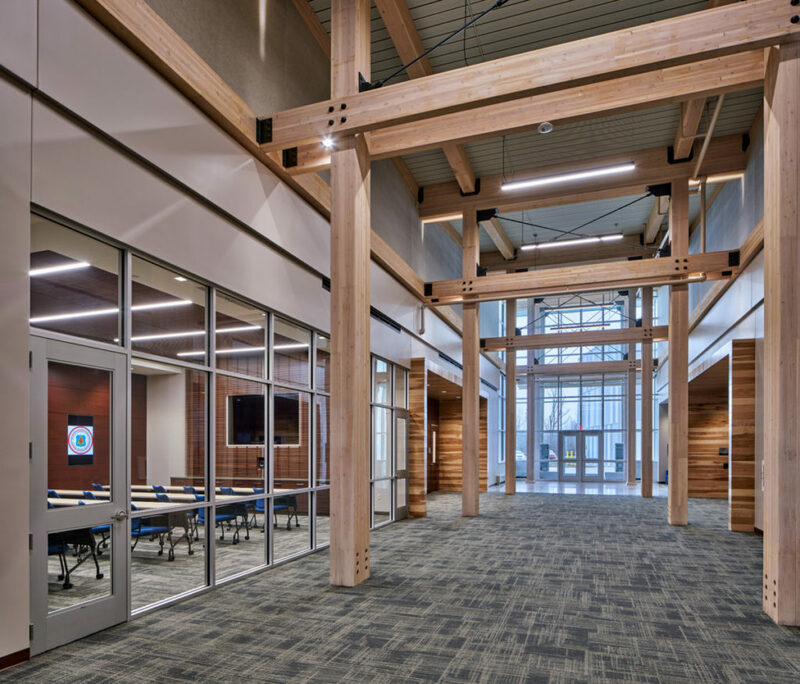 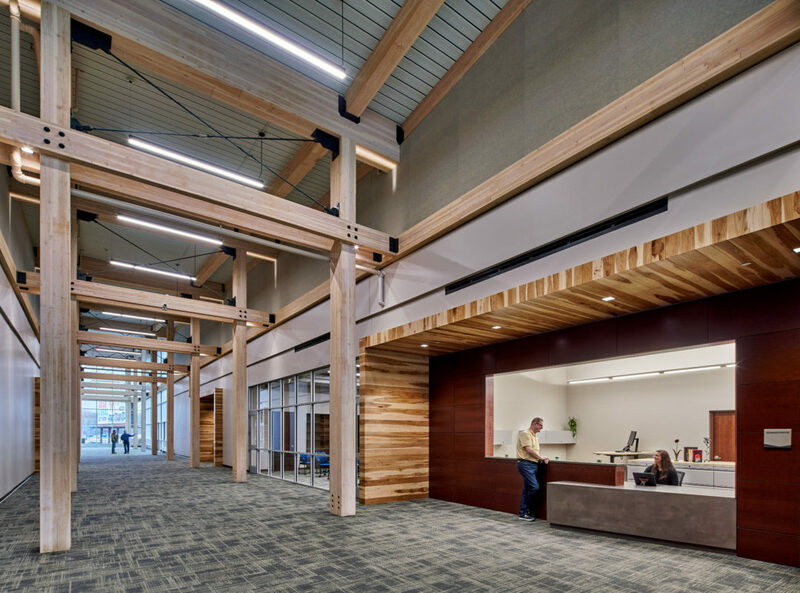 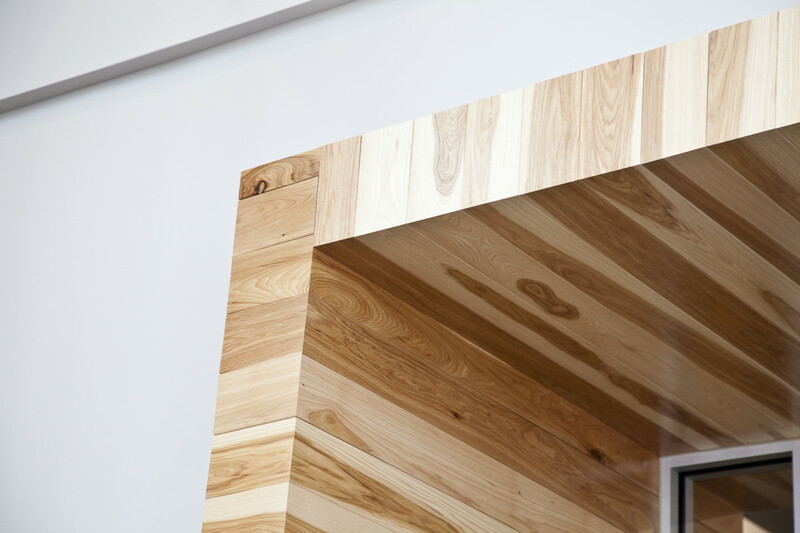 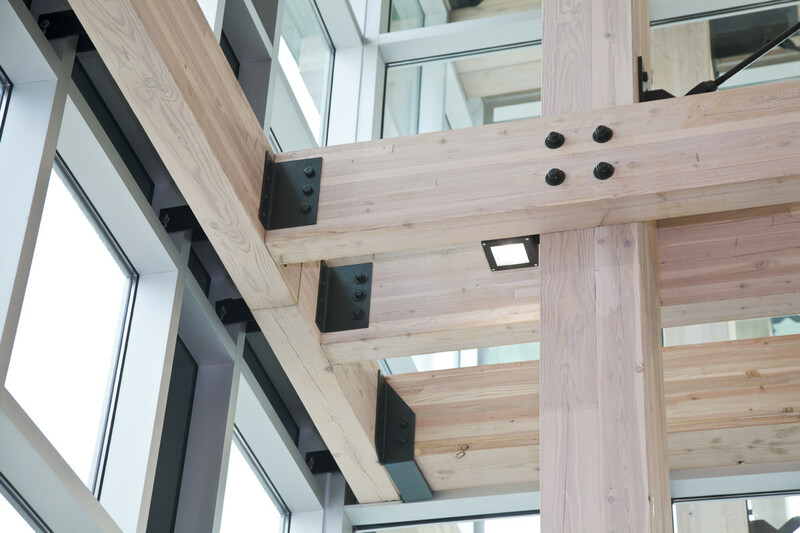 The Entry Gallery is a timber framed, glass clad structure approximately 25′ in height and feature polished concrete floors in the corridors, and specialty lighting. 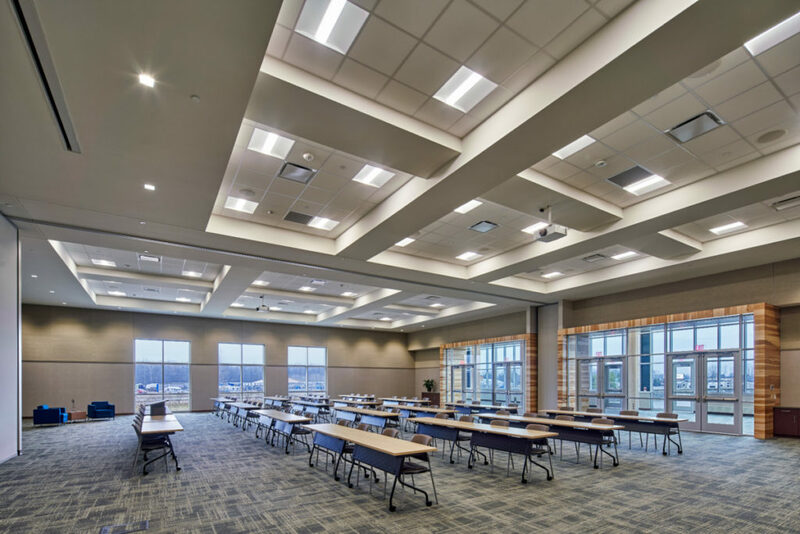 The large meeting hall has a folding partition wall with a high NRC rating, and is equipped for multi-media presentations and business fair events. 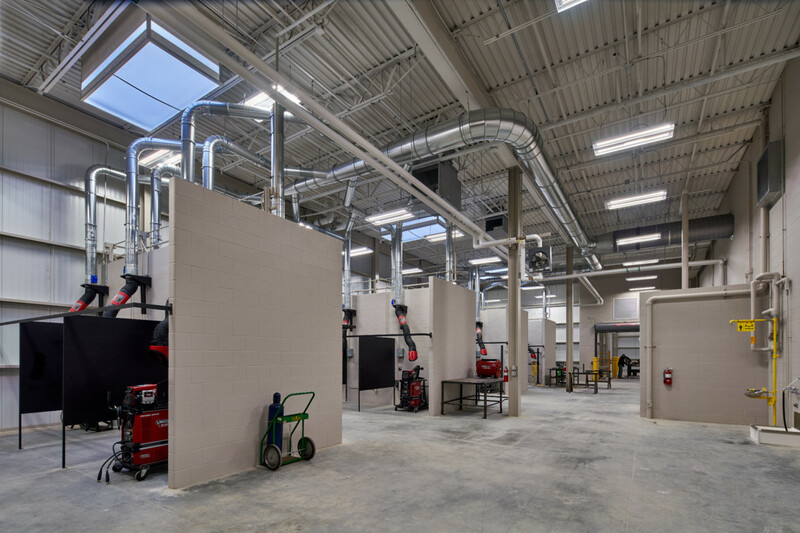 Check out the Interior Final Photography of the facility below!